It started with small, seemingly insignificant wrinkles in time: A busy bridge suddenly disappears, spilling cars into the sea. A beast from another realm roams modern streets. Napoleon’s army appears in 1930s Damascus ready for battle. But that’s only the beginning as entire realities collide and collapse. The questors are spread throughout the universe. Mina is stuck on a plain of solid ice, her only companion an angry cave lion. Tony and Gianni are monitoring the cataclysmic reversal of the cosmic expansion—but coming up short on answers. And Burleigh is languishing in a dreary underground dungeon—his only hope of survival the very man he tried to murder. Kit and Cass are back in the Stone Age trying to reach the Spirit Well. But an enormous yew tree has grown over the portal, effectively cutting off any chance of return. Unless someone can find a solution—and fast—all Creation will be destroyed in the universal apocalypse known as The End of Everything. 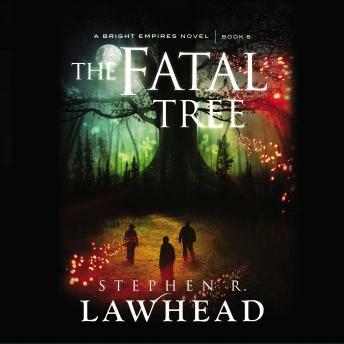 In this final volume of the fantastic Bright Empires series, Stephen R. Lawhead brings this multi-stranded tale to a stunning and immensely satisfying conclusion.